Watch the first 65 seconds. 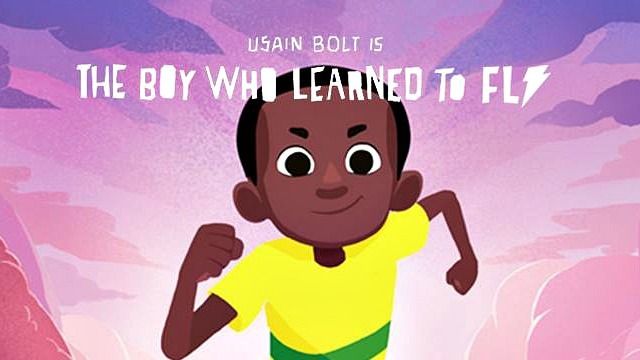 Up to the title screen - What do we know about Usain from this section? 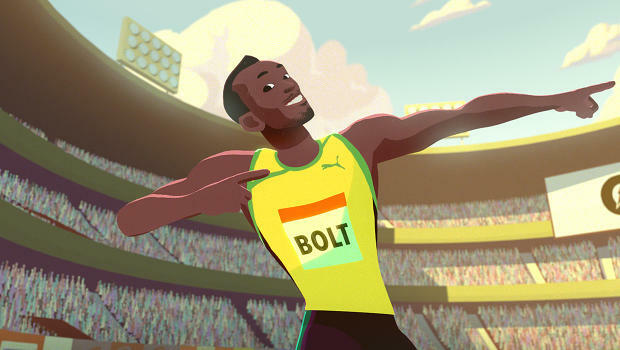 Watch the first 2 minutes - write the dialogue between Usain and the coach. Watch up to 3m 39s - How is Usain feeling now? How do we know this? Write a paragraph in the 1st person describing these feelings. Watch the discussion between Usain and his mother then recreate this conversation punctuating it correctly. Write a persuasive speech for another athlete in a similar position. What advice would we give them? Describe the feeling of 'keeping it light' use a range of similes to describe running like it was through the clouds. At the end of the film allow children to pick out key points to create a short biography, use follow up research to complete this.